Tyler Chartash is from Maryland, USA and he is currently undertaking a summer internship with Chamber Choir Ireland as part of the EUSA programme which builds and implements customised, academically-directed internship programs in Europe for educational partners. 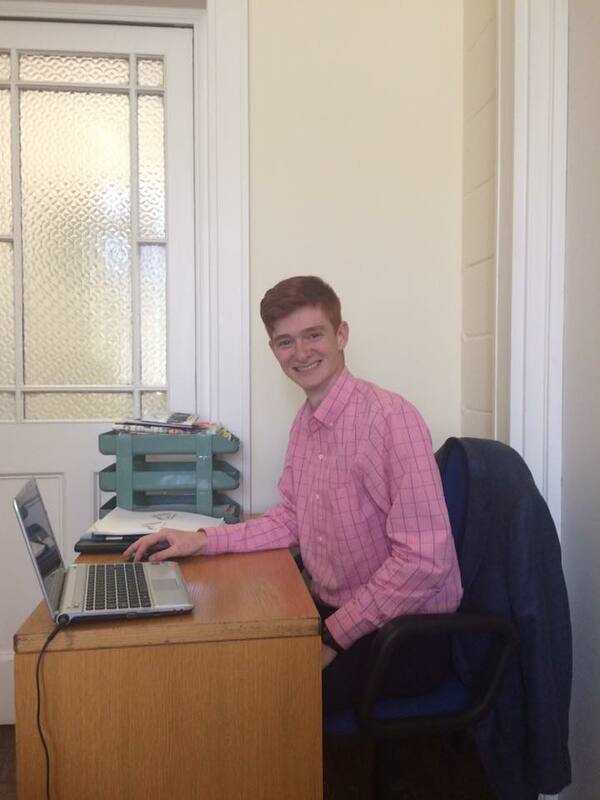 He has written the following blog post about his first few weeks as an intern in Dublin. For the past month I have been working as an intern for Chamber Choir Ireland located in the National Concert Hall in Dublin. I arrived on the 13th of June from the United States to work for academic credit. In my very first hour in Ireland, I was shocked that I could not understand a single word that my taxi driver said on the short drive to my local residence is Santry. Luckily, it is much easier to understand the three workers at Chamber Choir Ireland. My work is not overly complicated and the most difficult part of my day has been figuring out how to get to my office. In the month I have lived in Ireland, I have taken a bus in the wrong direction four different times. I have also taken the wrong bus and twice been passed by a bus for not sticking my hand out. When I finally arrive at work I sit at this little desk in the corner that lets me watch everyone in the office function without getting in the way. In only a month I have learned a lot about marketing and how an office operates. Every day at Chamber Choir Ireland I wait for around 16:30-17:00 for my favorite part of the day to begin. I make myself a cup of tea, something I would never have done in the United States, and migrate into the Chamber Choir Ireland’s library. This has become my favorite part of the day because I have a little makeshift desk set up in the library, about the size of my real desk, and being alone in there makes me feel like I have my own office. I sit down surrounded by amazing music and composers while sorting through Chamber Choir Ireland’s vast collection. Typically, I am able to listen online to the very music that I have the pleasure of sorting through. However, the greatest part of working for Chamber Choir Ireland has been the free live concerts. The Orthodox Spirit, performed in the stunning Christ Church Cathedral, was the most outstanding concert I have ever had the pleasure of attending. Chamber Choir Ireland sang as one voice, strong and fluid, with outstanding tone and quality of music. The music and location were all foreign to me only a month ago, but as the concert wrapped up I felt more comfortable in Ireland than I have at any other moment during my trip. Since that concert the bus system has been less troublesome and my internship in the National Concert Hall for Chamber Choir Ireland has continued to be an outstanding learning experience for which I am truly thankful.